We are proud to introduce our Wattbike. Not just an exercise bike! The Wattbike was developed by British Cycling and was instrumental in the successful British medal count in cycling at the London 2012 Olympics. Now you too can benefit from the innovative use of technology and the instant, live feedback. Whether you are an elite road or track cyclists, or recovering from surgery or an injury, the Wattbike will make your physiotherapy and rehabilitation more precise! Go to Wattbike.com to learn more- or better still, come and give ours a try. PhysioStudio principal physiotherapist Jon Davis was introduced to the Wattbike while working as a senior Sports Physiotherapist at the Australian Institute of Sport in Canberra with Australia Orica Green Edge professional cyclists. He can share the knowledge and experience he gained there to optimise your performance and recovery. Measure your output wattage, or objectively quantify the quality of your pedal stroke for best performance. Did you ever wonder if you had a weaker side on the bike? or lazy glutes? Now you can find out and watch the screen improve as you adapt to correct your technique. Are you unsure how changing your saddle height will effect performance? 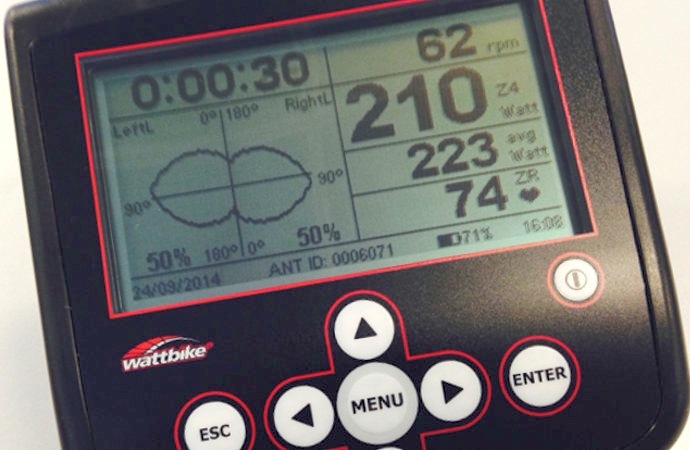 Come and give it a try on the Wattbike, and measure how your wattage output changes with modifications to your bike fit.